The Historic Smith Barn in Peabody, MA is a charming, rustic wedding venue with lots of personality. With apple orchards and woodsy paths close by, there’s no shortage of places to do photos. The woodland gardens behind the Felton House provide a lovely, intimate spot for outdoor ceremonies, and inside the barn is perfect for celebrating afterwards! Below is a mixed gallery where you’ll find some of our favorite Smith Barn wedding photos! 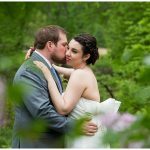 The collection on this page gives a great sense of our photojournalistic shooting style, and all the great photo opportunities the Smith Barn has to offer. Enjoy!